For more information about the availability and pricing of her craftwork - Telephone 250 442-3471. 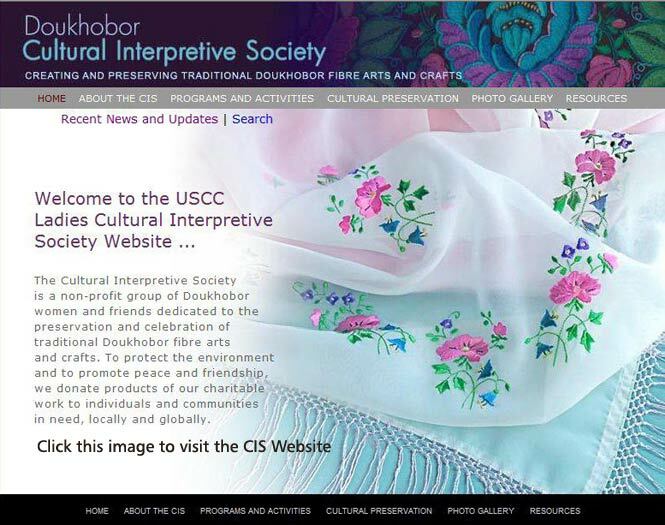 Fibre-craft has been an essential component of Doukhobor culture for centuries, primarily providing for various basic household needs. Doukhobor women made use of local resources, using wool, flax and hemp for weaving cloth. Their traditional clothing was frequently embellished with colourful intricately embroidered patterns, that have over time found their way into other household products. Lorraine Seminoff's fibre-craft work appears quite contemporary on the surface, yet retains the explosion of colour and focus on detail that characterized the work of her ancestors. 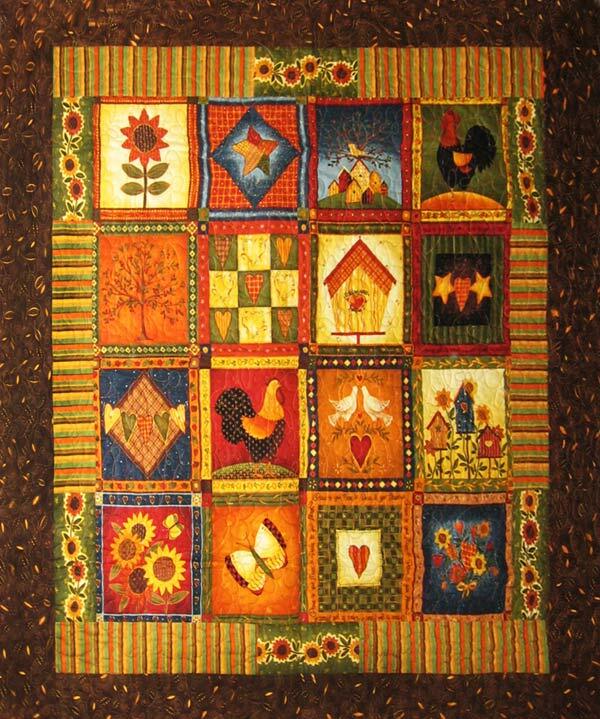 She uses modern tools and techniques to create exquisite quilts, table place-mats, runners and various decorative display pieces. 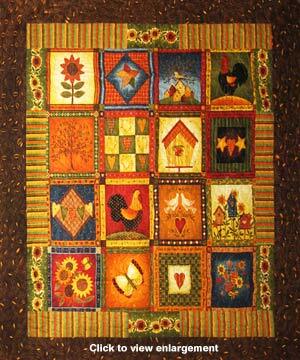 The sunflower, a playful Doukhobor symbol, is a repeating element in her work. Lorraine lives in Grand Forks, sharing a home-based working space with her husband, an accomplished woodcrafter, both being dedicated to the preservation and celebration of their Doukhobor heritage and culture.